Cloud9 has a shot at taking gold at Wembley against Europe’s finest while Dota 2 teams from across the land compete in the open qualifiers to make it to the biggest tournament of the year coming in just a couple months. 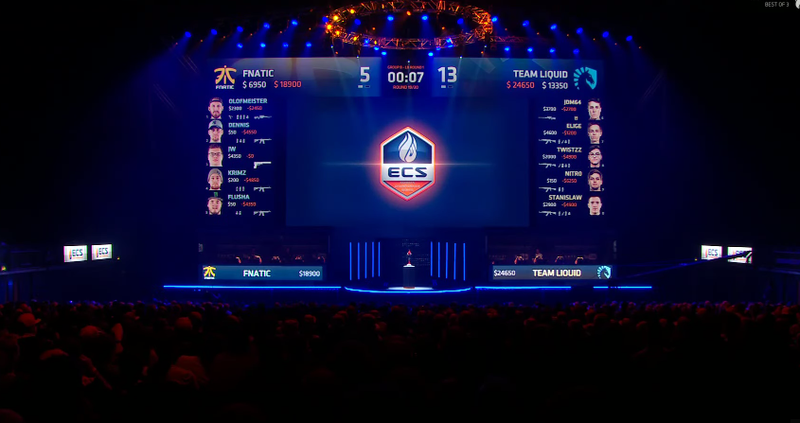 All eyes are on Wembley this weekend as season 3 of ECS wraps-up and the remaining teams compete over a $660,000 prize pool. The group stage finishes up this morning as FaZe Clan and G2 Esports fight to make it out of Group A alongside SK Gaming, while Cloud 9, clinching Group B, awaits its challenger from among Team Liquid and Astralis for the second leg of the semifinals. The single-elimination bracket kicks-off Sunday at 7:00AM EDT followed by the grand finals at 3:00PM EDT. You can watch all the action in the stream below. After Luminosity took home first-place at last week’s Anaheim Open, competitive Call of Duty moves to Britain today as top European teams compete in Sheffield for spots in this year’s Championship tournament later this summer. Open play began earlier today with matches resuming tomorrow around 5:30AM EDT. The grand finals are scheduled for Sunday at 2:30PM EDT. Week four of the summer league continues this weekend beginning in Europe with Ninjas in Pyjamas vs. H2K at 2:00PM EDT followed by Team Solo Mid vs. Fly Quest at 3:00PM EDT. Matches, as always, will go through 6:00PM before resuming on Sunday between the same hours. Overnight, OMG play NB in China at 2:00AM EDT with in China’s LPL at 2:00AM EDT, with Royal Never Give Up looking to edge their way back up the Group B table against JDG at 8:00AM. Meanwhile in South Korea, Samsung play JAG at 4:00AM EDT followed by LZ vs. AFS at 7:00AM. You can catch day 3 of the $10,000 Hearthstone Seat Story Cup this weekend picking back up today at 1:00PM EDT and going until midnight. On Sunday, the quarter finals will kick-off at 1:00PM EDT. You can watch the showdown here. The Overwatch Contenders, a development league for Blizzard’s team-based shooter, comes back this weekend with matches beginning today in Europe and going through 6:00PM EDT, while in North America the action begins on Sunday at 4:00PM with a big match between Team Liquid and FaZe Clan. You can stream all of the games here. With the Mid-Season Brawl in the rear-view mirror after Fnatic beat out Team Dignitas in the grand finals, it’s back to regular league play this weekend starting at noon with TRC vs. PD in Europe and 5:00PM EDT in North America with NT vs. TF. You can find a complete schedule for both regions as well as current standings here. The matches themselves will be streaming live here. After Virtus Pro clinched the Summit 7, it’s on to Open Qualifiers for TI7 this August. Matches for the South East Asia region will continue at 2:00AM EDT Sunday morning with Warriors Gaming vs. Young Minds and a slew of other teams. 7-Eleven is getting into esports with the Summer Series, a Rocket League tournament kicking-off this Sunday at 3:00PM EDT. Six invited teams including NRG and G2 Esports will compete on one Sunday each month this summer in a single-elimination tournament featuring a $6,000 prize pool giving top players something to do prior to the two big events being organized with NBC Sports for the end of August. In the world of speedrunning, a number of players under the umbrella of Girls on Fire will be racing through games like Mario Kart 8, Tetris, and Super Mario All-Stars today. The marathon began at 10:00AM EDT and will go through 7:00PM tonight. You can stream that even here. In addition, Runnerguy2849 will be speedrunning Zelda games with a pillowcase over his head for charity on his channel and is looking to raise $10,000 for Sightsavers in three days.